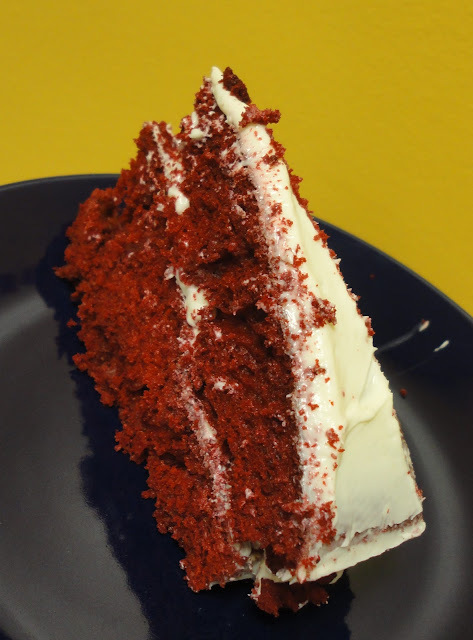 Red velvet cake is a favorite in my house... and what really makes red velvet cake good is the cream cheese frosting! Using vanilla or something else just isn't the same, am I right? I even bought brandie new baking pans for this because I needed new round pans. However, this concoction somehow tasted weird. 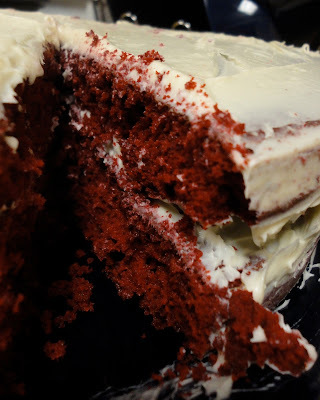 And I made this with a box mix and packaged icing... nothing from scratch- so where did I go wrong? I wound up throwing out most of this cake. At least we could still eat the leftover icing ha! u should try it! just make sure it has the cream cheese icing! Mmmmm that looks sooo delicious!